Is It Too Soon For Pregnancy Massage? 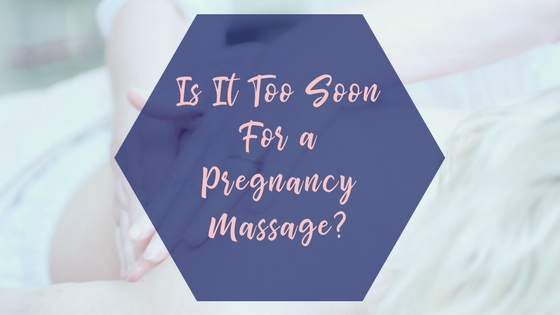 How soon is too soon for pregnancy massage? The short answer is that massage is safe at any stage of pregnancy. Yes, even as soon as you have peed on that stick. With the right therapist, massage is safe from day 1. Honestly, it truly depends on your personal comfort level, and if your care provider (Midwife, OBGYN) has cleared you for massage. If there are other issues present such as placental abnormalities, threatened miscarriage, possible ectopic pregnancy, UTIs, blood pressure issues, and other typical contraindications; pregnancy massage should be avoided. 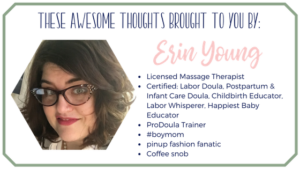 I can assure you that my specialization in pregnancy massage has stemmed from my advanced training and gathering of knowledge and tools throughout the years. I take my job seriously, and I am well-versed in the areas that are considered “endangerment sites” so that I will not exacerbate any issues that are present, nor will I cause issues to arise. All of my clients sign a waiver and fill out a thorough health history prior to any session taking place for their safety. The rapid increase of hcG may cause nausea, which could mean that you just really aren’t feeling up to being touched. You may just be too exhausted to do anything. That’s okay. It’s always best to listen to your body. I’ll never tell if you fall asleep on the table! If you do feel up to experiencing a massage, it can really help to balance out those new first trimester annoyances your body is experiencing (like constipation…) and introduce you to deep relaxation. Can Pregnancy Massage cause a miscarriage? 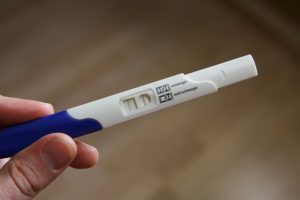 Some people feel that there are “pressure points” that can cause miscarriage. This misunderstanding alone prevents many massage therapists in Houston from doing massage on clients in their first trimester due to the liability they feel that they open themselves to. Massage will not cause a loss to happen. Massage can ease the emotional and physical sensations that occur with loss, but loss can happen whether massage is part of the equation or not. A massage in the second trimester is fantastic for offering relief to those sore muscles that have been stretched and pulled to compensate for the weight of the baby and your shifting center of gravity. Massage increases circulation which can prevent or lessen the leg cramps that some women experience. It’s relaxing, healthy, and a great way to prepare your body for labor. In the last three months of pregnancy, massage addresses the same complaints from the second trimester. It also adds in the ability to help relax and open the pectoral muscles for deeper breathing. Swelling and fatigue are very common issues that may also be relieved with stimulation of reflexology points and body positioning. Massage can be a great way to relax and prepare for your upcoming birth. The benefits of massage during pregnancy can also carry over to labor and into your postpartum time. Massage can address physical and emotional stresses, also. Massage therapy can span the entire childbearing year and can help the entire family. Pregnancy is just a small portion of that!